With a love of the great outdoors and a passion for wildlife, Van Wechel allows us to observe the animals in their natural landscape. 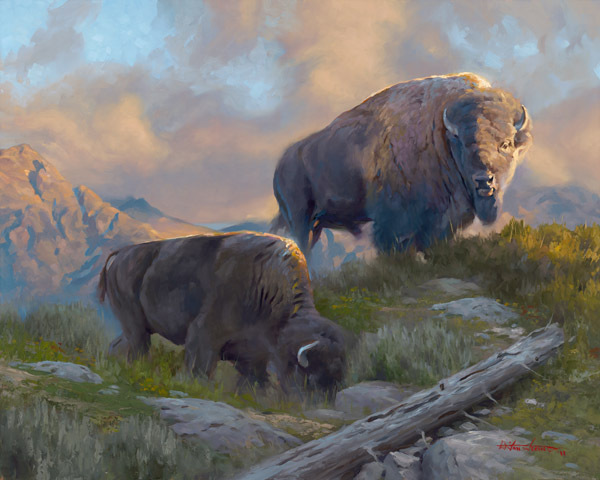 These two bison take advantage of the cooler temperatures to forage for food. The largest of the bison appears to scan the horizon....perhaps he senses something in the air.